Our leaders have extensive experience running organizations — seeing, first-hand, the time, effort, and resources expended to execute. Along the way, our Pivot Global leaders crafted unique operational improvement and innovation processes to drive success. Now, we're offering them to you. WE OFFER THE CORE SERVICES CRITICAL TO IMPROVED RESULTS. YOU DECIDE THE STAGING AND COMBINATION OF SOLUTIONS. WE WORK WITH YOU TO MAKE CHANGE THAT STICKS AND IMPROVES YOUR ROI. 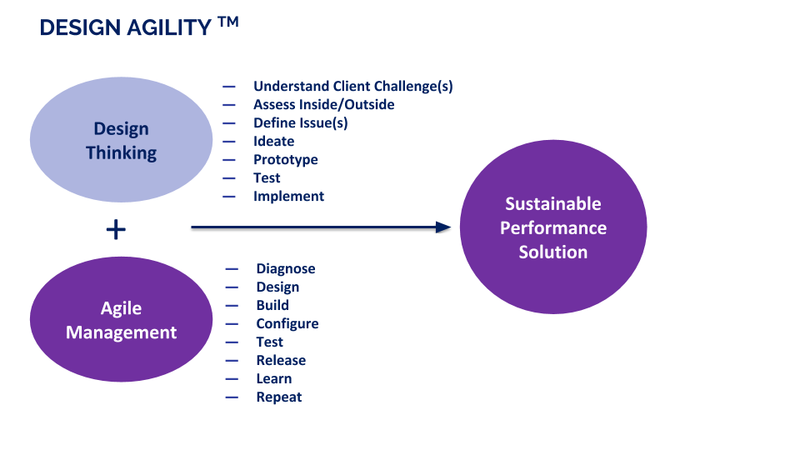 Using our proprietary methodology, Design Agility, Pivot Global moves clients through root cause diagnostics, solutions, rounds of experimentation, implementation, performance measurement and impact assessment, yielding sustainable change. Our approach combines two well-established business disciplines -- Design Thinking and Agile Development. 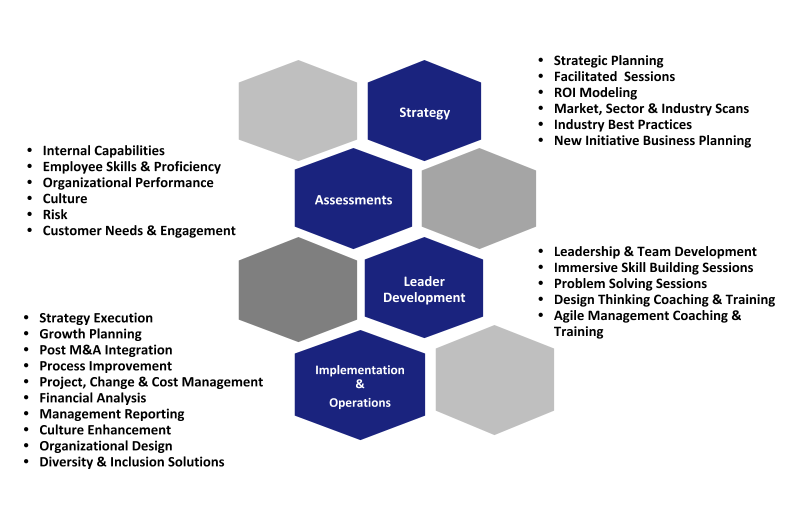 Blending the best of each, at the outset of an initiative or mid-stream, we uniquely develop solutions that lead to better performance. We are operators and innovators. We help organizations “pivot” and improve results. We apply a wide array of skills, 600+ years of proven experience and data-driven insights to collaborate with clients on their unique solutions.